70% of businesses fail to deliver transformational change successfully, repeating familiar mistakes over and over again. Dynamic and potent, this book focuses on a proven, holistic approach to implementing, dealing with and adapting to change. It is the ultimate change management manual for managers and leaders. People in Start-Ups can suffer from anxiety, fear of failure and high uncertainty. 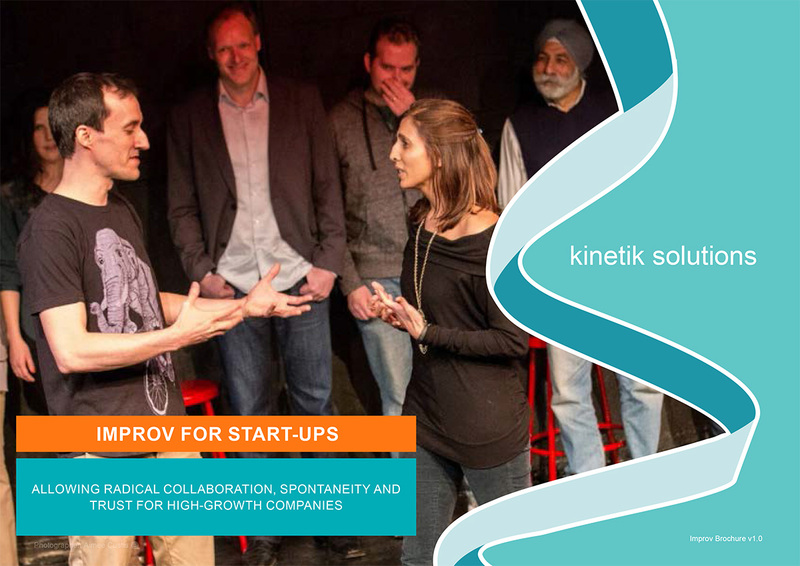 ‘Improv’, is a form of live theatre that creates an environment for people to boost spontaneity, confidence and creativity. No acting or comedy skills are required. Your start up will have an even more creative mindset and meet its purpose faster. Stress, depression or anxiety accounted for 40% of all work-related ill health cases. 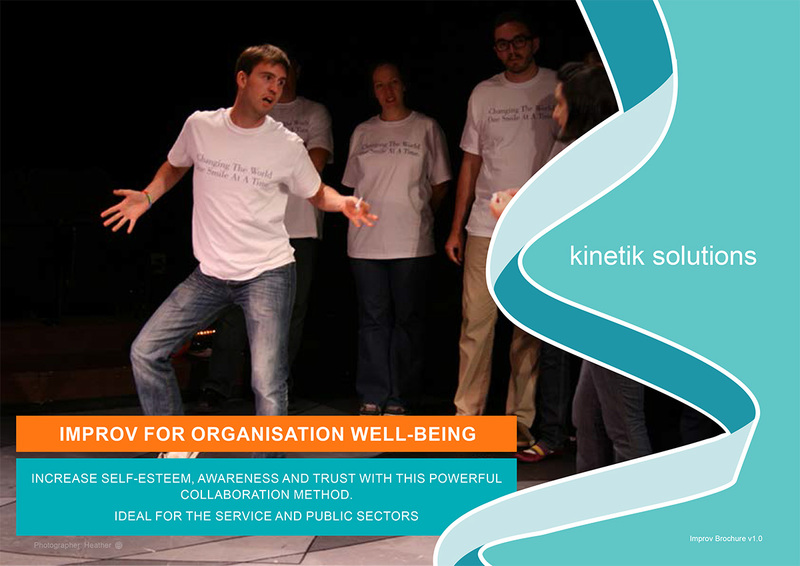 ‘Improv’, is a form of live theatre which will boost your organisation well being. No acting or comedy skills are required. Your staff will have increased confidence, be better able to deal with unexpected situations and be open to new ideas. Your organisation may need to deliver operational excellence, doing more with the same or less resources, re-design processes or change the way stakeholders operate in both their individual behaviours and as teams. We want to help you implement sustainable operational change that will deliver measurable, long-term benefits to your bottom line. To achieve this, we offer training programmes from 1 day up to 10 days in length in which we provide a combination of different modules, tailored to your needs. Organisations have identified 10% to 30% savings in their operational areas as a result of our modular training. 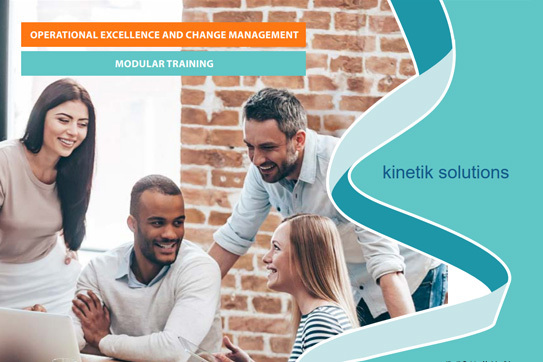 This style of delivery offers a ‘learning by doing’ methodology, and a programme that can be adapted and re-used for subsequent training by your change leaders. Each module lasts between 30-90 minutes and follows an easy to absorb style, with strong visual elements and in a consistent framework. We can run the training for you globally, and in multiple languages. Rapid Diagnostic to get you to the heart of sustainable transformation. Your organisation may need to deliver operational excellence, doing more with the same or less, redesign processes or change the way people operate both in their individual behaviours and as teams. 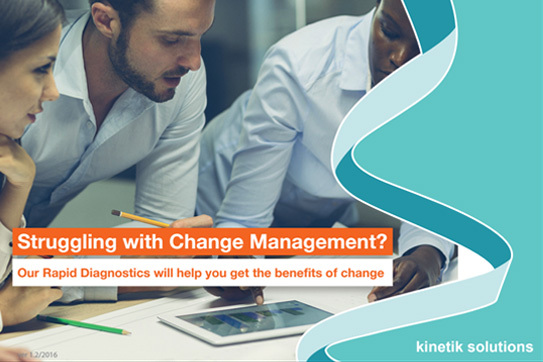 Before embarking on change, a rapid and relevant diagnostics can be useful to prepare you for transformation. Our diagnostics can avoid unnecessary costs later in your programme, and get change aligned at the onset. Utilising our extensive researched knowledge and our tried and tested good practise can help you bypass pitfalls. 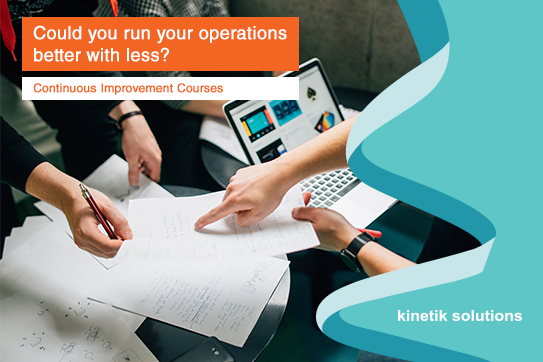 Our training modules follow a learning-by-doing approach, using existing problems and opportunities in your organisation. For more information contact us at bebetter@kinetik.uk.com or register via Eventbrite.